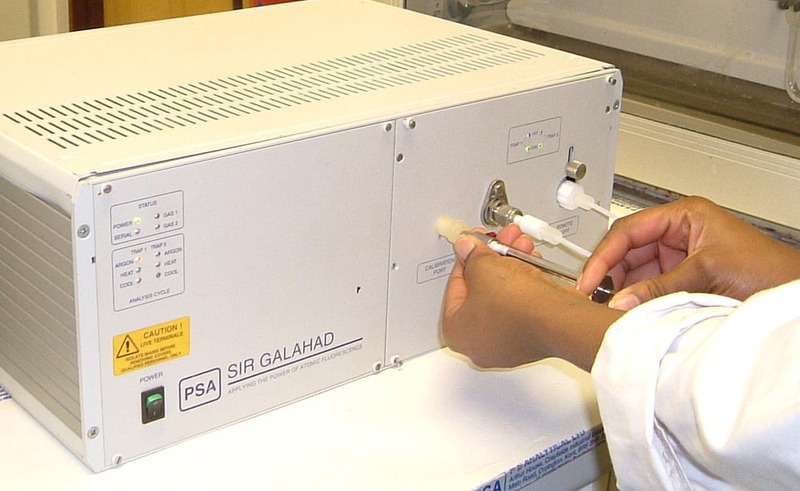 The PSA 10.525 Sir Galahad analyser is specifically designed for measuring mercury in gaseous samples at both online and offline installations. Sampling is via a dual purge and trap arrangement incorporating specific Amasil® traps operating in either a continuous or remote operation. The analyser complies with both ISO 6978:2 and ASTM 6350-98 methods for measuring mercury in natural gas. Mercury is measured using atomic fluorescence detection which allows absolute detection levels of below 0.1picogram. 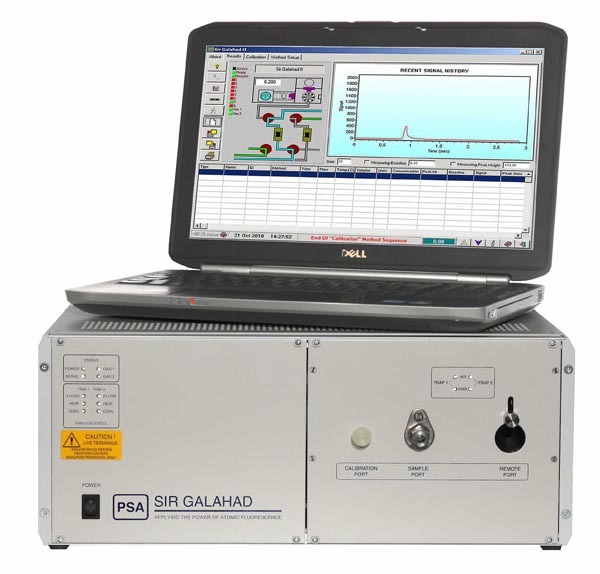 The PSA 10.525 Sir Galahad mercury analyser can be controlled via a PC or laptop computer using the dedicated Sir Galahad software or the versatile PSA online software. There are a range of accessories compatible with the PSA 10.525 Sir Galahad mercury analyser which can extend its range of applications from measuring mercury in exhaled breath to direct mercury in gasoline analysis. The PSA 10.525 Sir Galahad is widely used for the analysis of natural gas at both online and offline locations although it is also used at the heart of the PSA online mercury CEMs for power plant, crematoria and incinerator stacks. It is also used for the online and offline analysis of mercury in air at urban and rural sites and for measuring mercury in industrial gases like hydrogen and carbon dioxide. The analyser is portable with a simple trolley-like carry case so can easily be transported for site to site measurements. A choice of sampling modules is available to fulfil the requirements of specific applications. These include explosion proof units for mercury in natural gas applications, dual amalgamation units to check that 100% of mercury is amalgamated, dual amalgamation units which alternate in sampling and analysis cycle so that continuous measurement of mercury is obtained which can identify when transient peaks are emitted and units specific to analysis of mercury in natural gas where high levels of hydrogen sulphide are present. For mercury analysis incorporated into engineering-based projects, PSA is able to offer its analytical expertise combined with the client's engineering team to provide a fully customised approach. To discuss your particular requirements and for more detailed information on any of the above products please complete the Information Request Form.